Align your e-learning and student administration with the Wisenet-Moodle Integration. 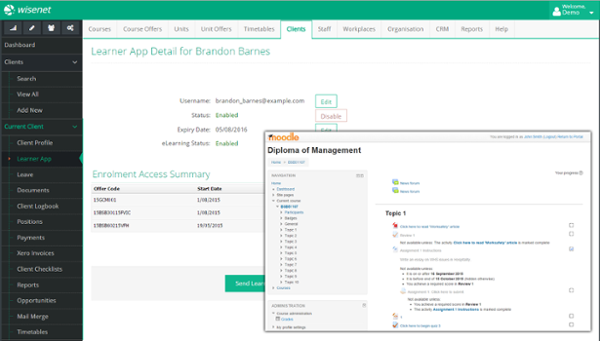 Moodle is a free, open source e-learning platform which allows you to conduct courses and assessments, and distribute learning materials in an online learning environment. All of which encompass a complete e-learning strategy that can be easily achieved via Wisenet.